MANY......MOST of my applique patterns use it. It's perfect for my style of "story telling with fabric and needle." Many of you have asked me about it--what is it, why do I use it, how do you work with it, and where do you find it? So here are the answers to your questions! 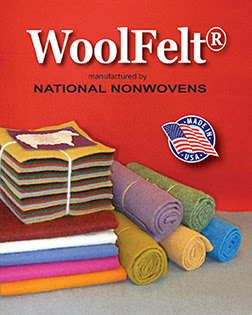 WoolFelt® is made by National NonWovens. When I write "felt" or "wool felt" in my patterns, this is what I mean. Always. 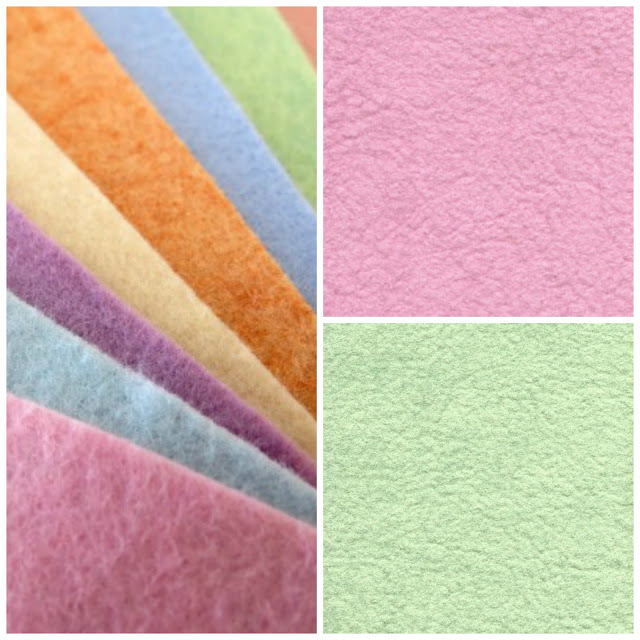 Wool felt is a blend of wool and other fibers like rayon. 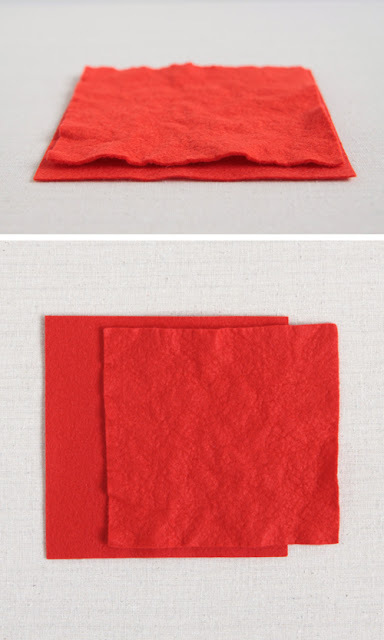 To compare, the felt squares you find in most craft stores is stiff and made of 100% acrylic. Wool felt is very soft. Take a look at National NonWovens website and you will see all of the types of wool felt they manufacture (blends, bamboo, 100% wool). However, I'm only going to be teaching you about what I know and love. Let me say there ARE other brands out there of felt with wool in them, but I've never tried them because I like this one please and thank you! And when I like something, I want to talk about it. ....I just truly love National NonWovens. And by "them" I mean their owners, staff AND their products. 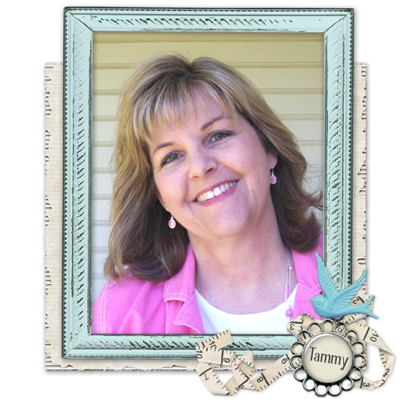 We met WAY over a decade ago at Quilt Market and we have worked closely together on many projects. I consider them friends! .....let me count the ways! Wool felt can be used just like it is, straight off the bolt. But in my projects, there is a very important thing I do immediately before cutting...you must try it......PREWASHING!! PREWASHING --also referred to as "felting" "sherpa" or "boiling"
You don't HAVE to prewash it, but I ALWAYS do. It becomes soft and bumpy and well, just COOL! The wool felt becomes softer and less scratchy on my hands, which is important when you do as much handwork as I do. Super responsive and forgiving to your stitches--you won't be able to tell imperfect stitches because they get "buried" in the texture instead of laying "flat" on the surface. Designs like animals, snowmen, birds and flowers take on a more "realistic" soft character that I prefer over stiffness. TIP #1: I don't use hot water. I just get the felt really wet in cold water in a bowl or my washing machine. Squeeze out the water (I use the spin cycle) and pop it in a very hot dryer with an old towel (to catch any dye drips). The heat from the dryer does the same thing as hot water, so who cares? TIP #2: The colors bleed ALOT, especially darks and reds. You must wet the colors separately or you will ruin the light ones. You can DRY similar colors together, but NOT darks with lights or they will get blotchy. So, if you are doing reds and pinks and even oranges, wet them separately, wring them out separately but you can dry them together. I DON'T GUARANTEE zero spotting, though! You will just have to experiment. Don't be afraid! It's just wool felt and much cheaper if you mess it up than real wool! TIP #3: ALWAYS ALWAYS prewash BEFORE you cut out your pieces!!!! Because of the wool content there will be alot of shrinkage! Up to 4" in all directions for yardage. If you are using the smaller cut pieces, a 9 x 12 will come out about 8 x 11 or even a bit smaller depending on which blend you are using and how hot your dryer is. ALWAYS buy pieces big enough to accommodate the shrinkage! Clean up: If you are using the washing machine for dark colors, you will need to wash it out afterwards with bleach to remove any dye stains. Once you have it all dry, you can steam any big wrinkles out so you can cut out your pieces. You can iron, it too! My applique technique uses fusible interfacing--but that's a blog post for another time! Now that you know about this wonderful product, you want some, right? Sometimes I have precut kits that go with my patterns. You can find them in my Plum Creek Patterns Etsy store when they are available. Otherwise, your best option for a great selection is to shop online. The only disadvantage of this is that you can't see the true colors because computer monitors and photos are not accurate. You can order Prairie Point Junction's physical sample swatches here which will make it much more fun! You can buy directly from the manufacturer on their retail website Commonwealth Felt. The advantage here is you can choose from ALL of their product lines in one place--glitter felt, bamboo felt, 100% wool, etc. They have online color charts also, but again, the monitor is not true to color. You can call them and order physical color swatches, too. But, my favorite way to shop is from a full service, online store that carries coordinating products to go with your wool felt, like floss and fabrics. 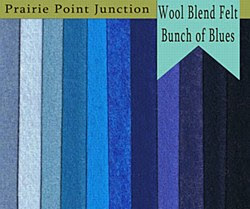 My favorite is Prairie Point Junction -- Woolfelt Central. What I really love about their shop is the HUGE color selection AND you can buy bundles of felt to try out different colors and combinations! You can try all of the different shades of blue at the same time! 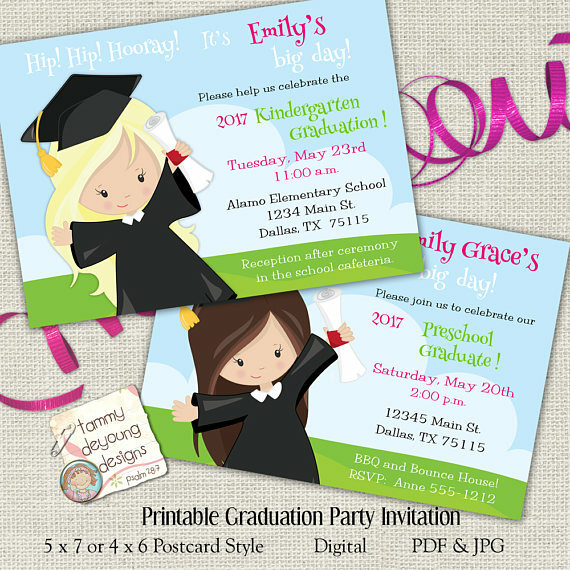 I don't know about you, but I get overwhelmed choosing between colors, so having someone put bundles together for you is WONDERFUL! It's like your own personal shopper! 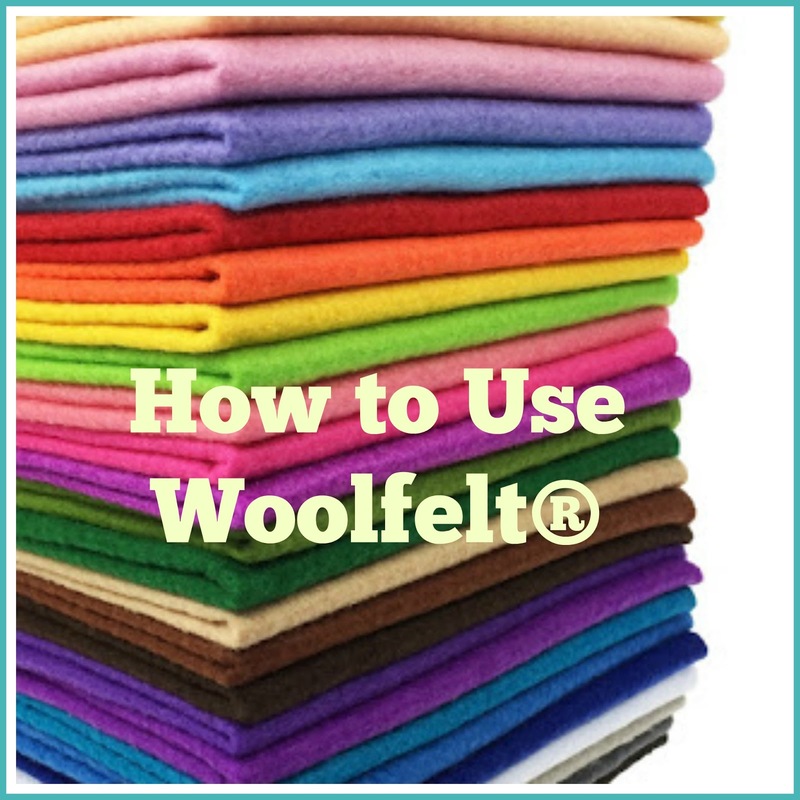 Why wouldn't you try wool felt now that your questions are answered? Oh, I know! You need a pattern! If you are a beginner (watch out...you are about to get addicted!) here is a basic ornament pattern that uses larger pieces and just uses a few colors to get you started while you learn the technique. Comment below or email me if you want the colors ahead of time so you can place your wool felt order. Oh what fun it is to stitch with wool felt! I promise!